OLUJICH, Elizabeth Frances, age 87 of Woodridge, IL, formerly of Shaler Twp. and Ambridge, on April 8, 2019. Wife of the late John. Mother of Michele Czupowski (Rich) and Anita Dempsey (Joseph). Grandmother of Rich (Shannon), Michael (Megan), Miranda, Danica, and Kieran. Great grandmother of Payton, Reagan, and Austin. Daughter of the late Matt J. and Elizabeth Witkowski. 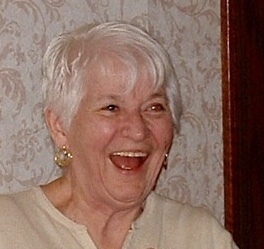 Sister of Lois Kaufman and Matthew J. Witkowski Jr. (Judy). Visitation Mon. 2-4 and 6-8 P.M. at Neely Funeral home, 2208 Mt. Royal Blvd., Glenshaw. Mass of Christian Burial Tues. 10 A.M. at Holy Spirit Church, Millvale. There's still time to send flowers to the Visitation at the Neely Funeral Home from 2:00 PM to 4:00 PM on April 22, 2019.